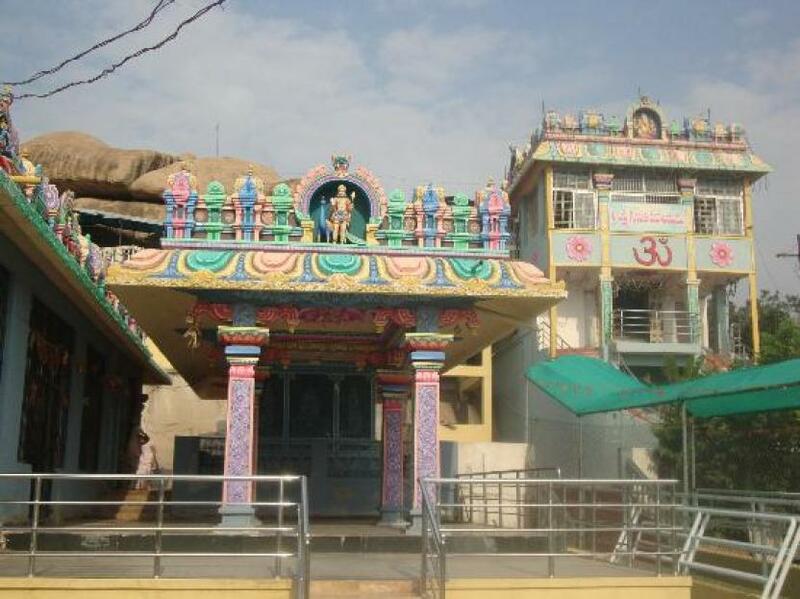 Sri Vidya Saraswati Temple is situated on a Hillock in Wargal Village, and stands as one of the important Hindu temples located in Medak district of Telangana Andhra Pradesh, India.This temple complex was a brain child of Yayavaram Chandrashekhara Sharma, scholar follower of goddesses Saraswathi.Here is some fact about Wargal Saraswati Temple. How to Reach by Air : The nearest airport is in Yadgirigutta which is 40 kms to Wargal Saraswati Temple. How to reach By Rail: Wargal has its own railway station. 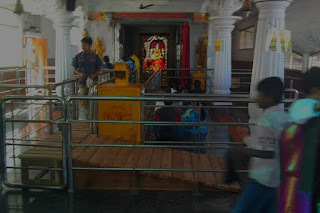 How to reach By Bus or Road: There are many public and private vehicles available to reach here.Wargal is at a distance of around 47 km from Secunderabad. APSRTC buses are available every 10 minutes from Jubilee Bus Station. 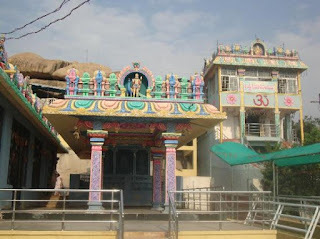 Wargal Saraswati Temple is located in wargal in Medak district in Telangana, India.The temple is built about 500 years ago(New 1989), and built by Sri Yamavaram Chandrashekhara Sharma.The temple is dedicated to Goddess sarashwati.This temple is located on a hillock near Wargal village. 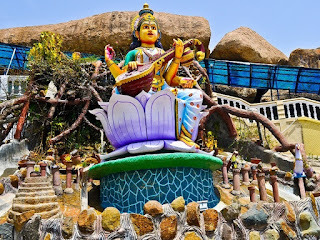 On the same hillock there are temples of various other deities like Sri Lakshmi Ganapathi Temple,Sri Vidya Saraswati temple,Lord Shanishchara Temple and Lord Shiva Temple. A huge victory pillar is also located nearby temple. With a height of about 30 feet, it stands majestically amidst the captivating natural setting and impressive temple structure. It has statues of Lord Rama, Goddess Sita, Lord Lakshmana and Goddesses Lakshmi along with snakes entangles over it. 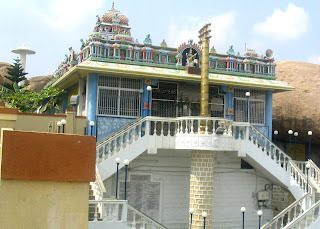 This temple is well architected and was constructed in 1989 on the day of Vasantha Panchami when Bhoomi Pooja was performed and the foundation stone was laid for the temple of Sri Vidya Saraswathi Devi situated on a small hill having 100 steps which lead to the darshan of the main diety. In the year 1992, on the fine day of Trayodashi of Maga Shuddha month the foundation of the Idols of Goddess Sri Vidya Saraswati Devi and Lord Shanishwara were laid by "Pushpagiri Peetadhipathi Sri Sri Sri Vidya Narasimha Bharthi Swamy". The temple complex was a brain child of "Sri Yamavaram Chandrashekhara Sharma" who constructed this temple with his efforts as he was a true scholar and adherent of Goddess Saraswati. He was also a good astrologer and a vaastu experter. Inspite of being a Business man he had a multi faceted activities into his credit. In the year 1998, a committee named Satya Patam Seva Samethi, started building of this temple on hillock where it had 400 years old temples also but the Mula Vighrahas lost their look. In the year 1999, a Vedic Paathshaala (School) was set up by "Sri Shankara Vijaya Saraswati" of Kanchi Peetham. 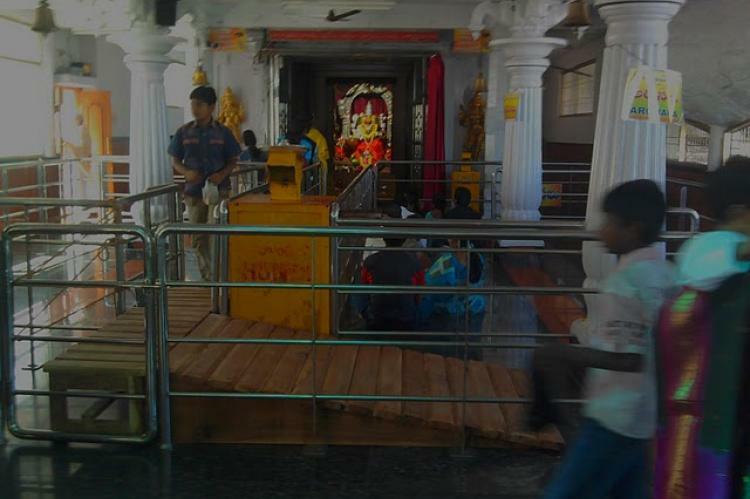 Now this temple is now maintained by the Kanchi Shankar Mutt. 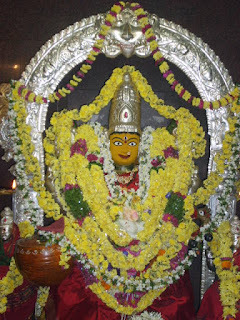 Sri Saraswathi Devi Temple: Vasantha Panchami and Navaratri Utsava Mahotsavams are being celebrated every year in a grand manner.